Drytooling is kinda ice climbing without the ice! Sounds silly egh, well there is a serious side to it too as you’d appreciate if you’re on a mixed pitch and the ice runs out and you’re faced with rock. 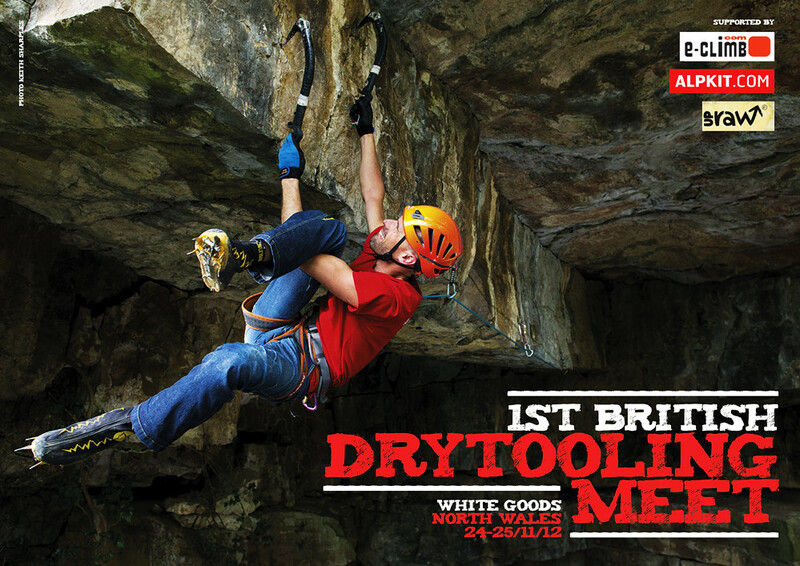 That’s where drytooling comes in. There is a whole new technique and vocabulary to learn too. It fun, its technical and it at White Goods this weekend and ace climber Ramon Marin is involved so you’ll get a wicked workout if nothing else! I photographed Ramon doing Stump Man at White Goods for my climbing calendar. Stump Man is M11 which roughly translates to bl**dly hard and not surprisingly it’s one of the hardest drytooling pitches in the UK.